The National Lung Screening Trial studied people aged 55 years to 74 years who had smoked at least 1 pack of cigarettes per day for 30 years or more. Heavy smokers who had quit smoking within the past 15 years were also studied. 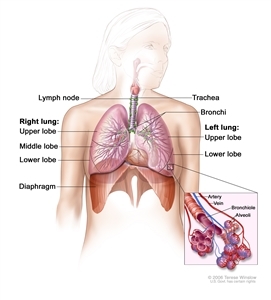 The trial used chest x-rays or low-dose spiral CT scans (LDCT) scans to check for signs of lung cancer. Current smokers whose LDCT scan results show possible signs of cancer may be more likely to quit smoking.